JEDDAH: A Pakistani woman, who is living illegally in the Kingdom, is desperately seeking help so that she can go home with her 18-month-old baby and her husband. Her husband is in jail because he had illegal travel documents (outpass), which he received unwittingly from a local agent, she claimed. Shabnam (not her real name), said her husband was caught by the authorities with the fake papers when he tried to travel home to Pakistan. He did not know the documents were forged, she claimed. She said their problems started when he came to the Kingdom in 2007 with a ‘free visa’ from a Riyadh-based sponsor. He had bought the visa in Pakistan for SR20,000. This is an illegal way of getting entry into the Kingdom because the sponsor of the person does not provide him or her a job. Such workers have to seek jobs for themselves. When they do find work, they then have their sponsorship transferred to someone else. When he arrived, Shabnam said he tried in vain to find his sponsor. He only later realized that his sponsor had declared him a huroob or a runaway, she said. “My husband is a well-educated man and we hail from a decent family,” said the Pakistani woman to Saudi Gazette on condition of anonymity.“He bought a family visa for SR18,000 in Nov. 2008 to bring me here. His Iqama expired two weeks after my arrival. Since his sponsor was not available, he gave SR5,000 to an agent to renew his Iqama. 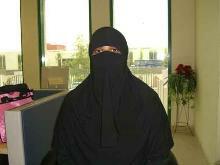 Unfortunately, the agent absconded with the money and Iqama,” said Shabnam. She said that she was urgently seeking help and also wanted to warn people about the danger of not having proper documentation. She said that she never thought she would have to live illegally in the Kingdom. She married in 2005 and wanted to live in Saudi Arabia because social norms in Pakistan made it difficult for her to live there without her husband. “After the family visa expired on Feb. 6, 2009, we both became illegal residents in Saudi Arabia. To solve this hurdle, we had to lend money to pay another agent to get Iqamas. At that time, we realized that our sponsor had stamped ‘uroob/runaway’ in my husband’s visa,” she said. At this stage, Shabnam said they were struggling to survive because her husband was unable to work or travel to another city without an Iqama. He was forced to take more loans to pay agents to get a proper Iqama. “The health of my husband was badly affected due to the continued tension over the Iqama. Usually expatriates send money back home but we were asking money from people in Pakistan,” she said. During these difficult times, the couple was blessed with a baby girl in Oct. 2009. But because the baby was born to an illegal resident, she was denied a birth certificate. “Hospital management took advantage of our illegal status in the Kingdom. They took SR5,500 for my delivery – which could have been done for SR1,500 if I was a legal resident,” she claimed. Her husband then decided to go to Pakistan and then return to the Kingdom with another valid visa. “My husband did not know that the outpass he got from an agent was fake. When he tried to travel back to Pakistan, he was caught by the passport authorities for having the fake outpass,” said Shabnam. An outpass, which is also known as an emergency travel certificate, is issued to illegal residents with no travel documents. It is also issued to people who lose their passports and need to travel home in an emergency. Shabnam’s fear that her husband’s release may be delayed is not unfounded.Hina Rabbani Khar, the Pakistani State Minister for Foreign Affairs, who visited Saudi Arabia on April 24, 2011, recently stated in the National Assembly that “as many as 26 Pakistanis are in Saudi Arabia’s jails despite having served their sentences”. “The prisoners have not paid the diyat imposed on them by the authorities. These fines range between SR17,000 and SR3.9 million,” she stated. Some 18,093 Pakistanis were sent back home during 2009 and 2010 from Saudi Arabia, which has the largest number of Pakistani prisoners compared to other countries. More than 73,000 Pakistanis have been deported from the Kingdom, mainly due to fake travel documents or staying and working illegally. Jehangir Mushtaq, Community Welfare Attaché at the Pakistan consulate, Jeddah, confirmed the arrest of Shabnam’s husband along with other Pakistanis by the passport authorities because of the fake outpass. “Some 20 Pakistanis were caught on June 9, 2010 – including a woman – for having a fake outpass and they are in prison right now. This lady is the wife of one of those arrested people,” said Mushtaq. “If her husband is in prison, it is her right to go back to Pakistan and we will try our best to send her back as early as possible. Since the royal pardon has also been granted to undocumented migrants in Saudi Arabia, I can expect that we can help this lady but we cannot by-pass the law,” he said. Mushtaq was referring to the Saudi government’s announcement on Sept. 22, on the occasion of the Saudi National Day, of a royal pardon for all Umrah, Haj and other visitors who violated the country’s residency laws. All illegal residents had until March 23, 2011 to return to their respective countries without being penalized. This amnesty period has now been extended to Sept. 14, 2011. This entry was posted in Just-Shared and tagged Expatriates, expats, Hina Rabbani Khar, Immigration, iqama, Kingdom of Saudi Arabia, Middle-East, Pakistan, Pakistani, Pakistani living abroad, Saudi Arabia. Bookmark the permalink. Oh My God! I don’t know why some of the people do these type of illegal acts,infact as I am Pakistani also so I feeling gulity of this!! Oh My God! I don’t know why some of the people do these type of illegal acts,infact as I am Pakistani also so I am feeling gulity of this!! SAUDI ARABIA IS MUSLIM ARAB COUNTRY. THE PEOPLES AND KING ABDULLAH ARE VERY KIND GENTLE AND LOVE MUSLIM COMMUNITY.THE HELPED POOR AND NEEDY PEOPLES IN SAUDI ARABIA AND ABROAD ,THEIR BASIC HABITS. THE PRINCE AND RINCESS ALSO SO KIND FOR THE PEOPLES,NO BODY CAN IMMAGINE. I wish hope and pray for KING ABDULLAH BIN ABDUL AZIZ FOR HIS LONG LIFE WTH PEACE AND SECURE IN FUTURE. AMEEN INSHA ALLAH. This is just very sad !! I WSH HOPE AND HUMBLE REQUEST TO KING ABDULLH BIN ABDUL AZEEZ OF SAUDI ARABIA. WHO LOVE MUSLIMS COMMUNITIES TO EXCUSE HIM AND HER AND LET THEME TO GO THEIR COUNTRY. I PRAY LONG LIFE WITH SAVE AND SECURE KING ABDULLAH BIN ABDUL AZIZ IN FUTURE. PAKISTANI POOR PEOPLE MEANS.. THEY ARE POOR BECAUSE THEY CAUGHT INTO SUCH THINGS IN WHICH THEY ARE NOT INVOLVED AND INNOCENT..